You don't have to choose between making money and saving money. Corporate social responsibility (CSR) programs generate revenue–but they also reduce operating costs. 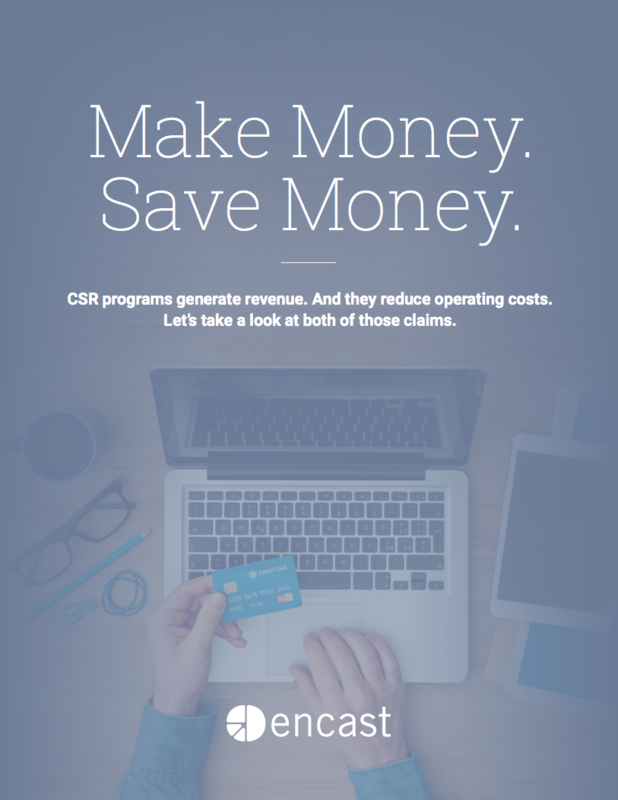 If you're considering implementing (or replacing) your CSR program, learn how to calculate the ROI. Come armed with data as you embark on this mission with your team. It's all right here in our ROI Analysis eBook. On average, CSR and employee giving programs increase employee productivity by up to 13%. That's much like gaining 6.5 WEEKS of additional work from each employee, year after year. Employee giving programs also increase market value to investors by 4-6%! Want to see how this helps any business, including yours? All of this happens when you start doing good. Download the eBook now to see the story behind the numbers and learn how to calculate your own savings. How will philanthropy help your bottom line?